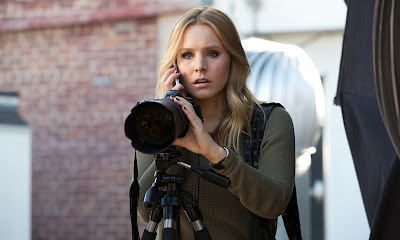 Kristen Bell launched her career with the television series Veronica Mars. The show had a successful run that spawned a loyal cult following and an eventual full length feature film. Now, the actress is looking for the time to do a series revival that would bring her character back to the small screen in the same way we've seen The X-Files and other shows make an event type comeback. The only thing that stands in her way is her hectic film schedule. "So we’d have to do like a miniseries. Rob and I email about it every couple of months or so. And personally I think, and I think Rob probably agrees, is that a) we’ll never make the fans pay for it again and b) the format works better as an episodic series." Fans of the show should be excited that they're thinking about bringing it back. Hopefully some time in the next couple years, they can get this going again!